Club Penguin Cheats by Mimo777 Club Penguin Cheats by Mimo777: New Club Penguin Start Up Screen! 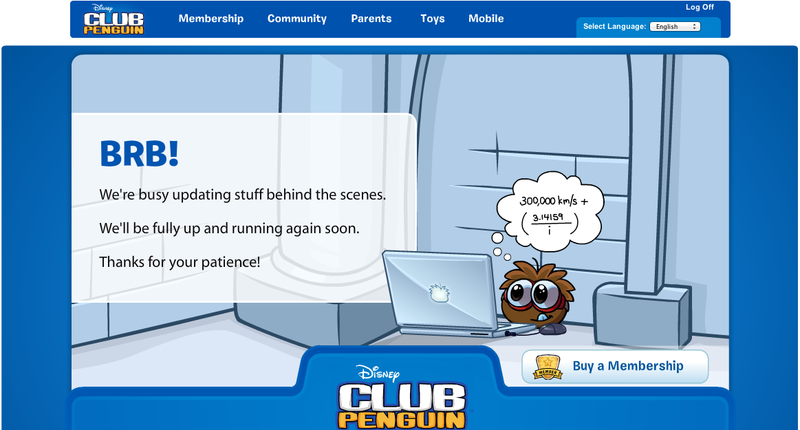 Club Penguin has made a new start up screen for when they are updating CP! And they made a new log-off bar thing at the top! Sweet!